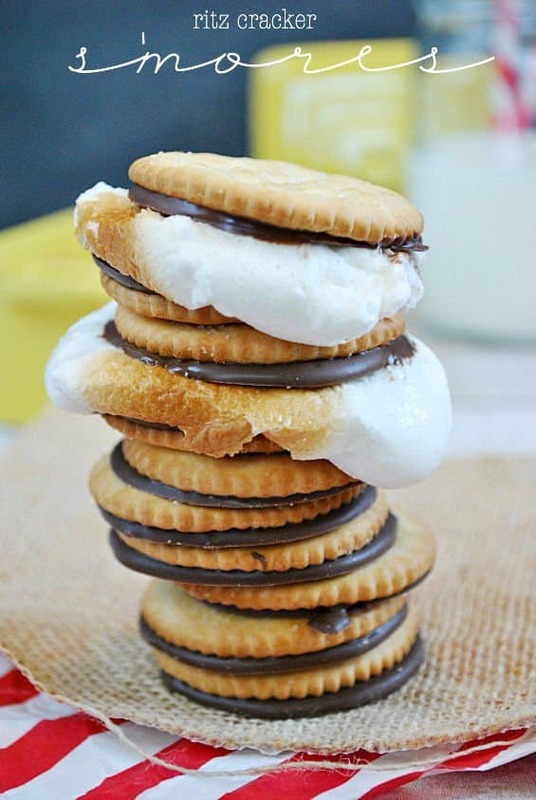 These Ritz Crackers S’mores are the ideal summer pairing for Sweet & Salty lovers! I cannot believe this is the first s’more recipe I’ve posted all summer!! Where has the time gone!? I’m not sure what’s going on in my life that is making time pass so quickly, but it’s alarming! It could be that Emma is getting older, and more of my day is now devoted to providing her with the time and energy she now demands. I suspect a lot of it is this blog, which has rapidly turned into a booming business needing about as much care and attention as my daughter. Ah. How I love Pumpkin Pinning Season ;) . S’mores! I love, love, love S’mores. And when I saw these Ritz Cracker Ice Cream Sandwiches over at Two Peas and Their Pod, I just about died for some Ritz Cracker S’mores on the spot. And ohmygosh. Such a good decision. I’m a big fan of sweet and salty, and these little S’mores hit the spot! Either way you do it, you’ll want to have a sheet of parchment paper or a silicon baking mat at hand. 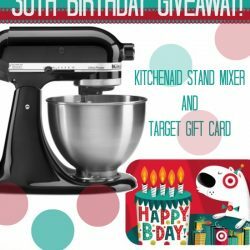 And if you need to move these from the spot you make them to a different spot to cool, be sure to put the parchment or the baking mat on a cookie sheet for easy movement. Method A) Melt chocolate in a small bowl (I used Candiquik melting chocolate). Spoon about a teaspoon of the chocolate onto the parchment paper. Place a Ritz cracker over the chocolate and gently press until the chocolate reaches the edges of the cracker. Repeat process for all crackers. Peel from lining when cooled (about 10 minutes) and use for S’mores or other yummy treats! Method B) Preheat oven to 350 degrees F. Place chocolate melting discs (like Wilton brand) on a lined (parchment or silicon) baking sheet, 2-3 inches apart. Place in oven for 1-2 minutes, until chocolate looks shiny and melted. Remove from oven and place a Ritz cracker over each disc of chocolate and gently press until chocolate reaches the edge of the crackers. Peel from lining when cooled (takes a little longer than Method A) and munch away! These look heavenly, I must try! I love this sweet/salty combo. I want to pile these into my face. Pinned! Three things. 1. These look amazing. 2. Rob Lowe’s character in Parks and Rec might be the greatest ever. 3. Shoot! I really need to grab some pumpkin and get cracking!! Lit-rally the best show ever. :) I just about died as soon as I saw those Ritz cracker sandwiches too! 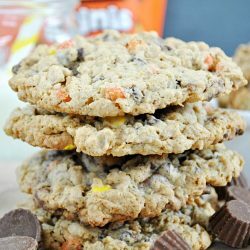 I am a sucker for sweet and salty and they’re so simple too! Love this version! Oh yeah, I def. 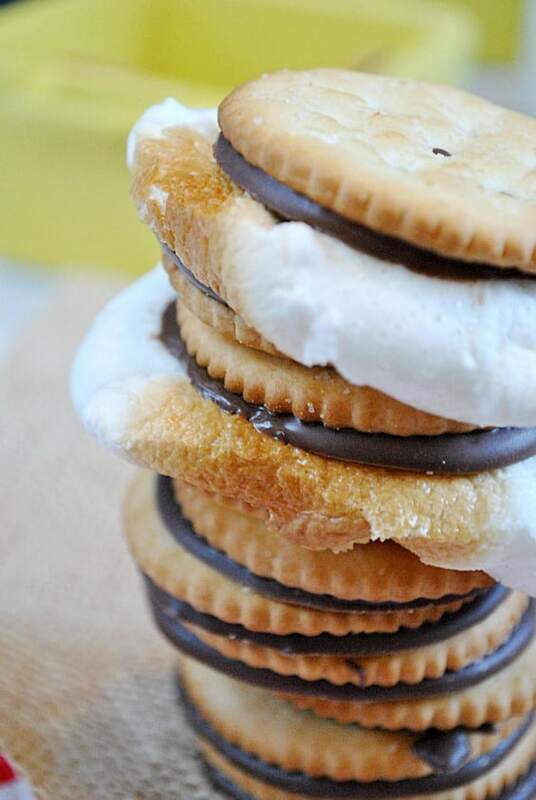 think ritz cracker s’mores are better than ice cream sammies! I LOOOVE S’MORES EEEE! LOVE these, but I’m with Emily…SO not ready for pumpkin season. LOL! I know.. 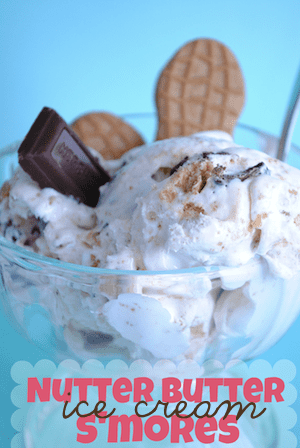 I still have so many more S’mores and Ice Cream recipes I want to do! *gasp* chocolate dipped ritz? SOLD. Wow, so simple yet so amazing. This simple little concept just blew my mind. 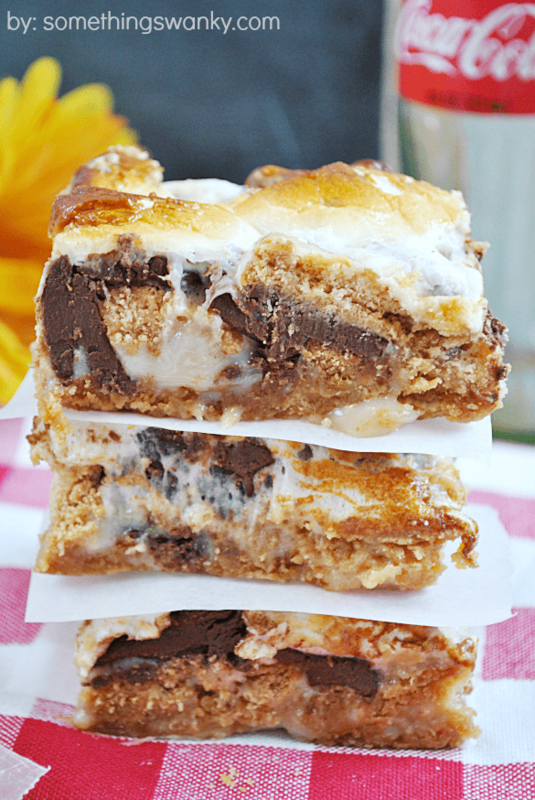 I am a total sucker for anything S’mores, and these look scrumptious! haha! My hubby and I say li-trally to each other all the time! 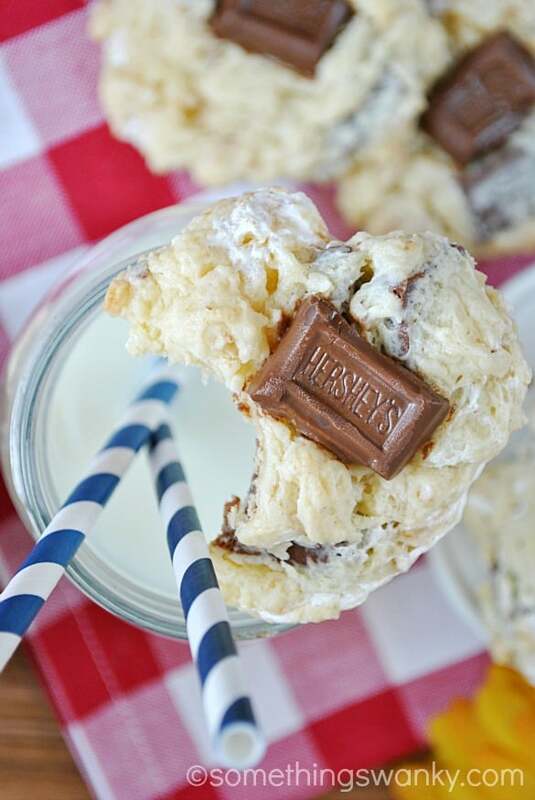 Love this fun twist on the s’mores!!! Yum! 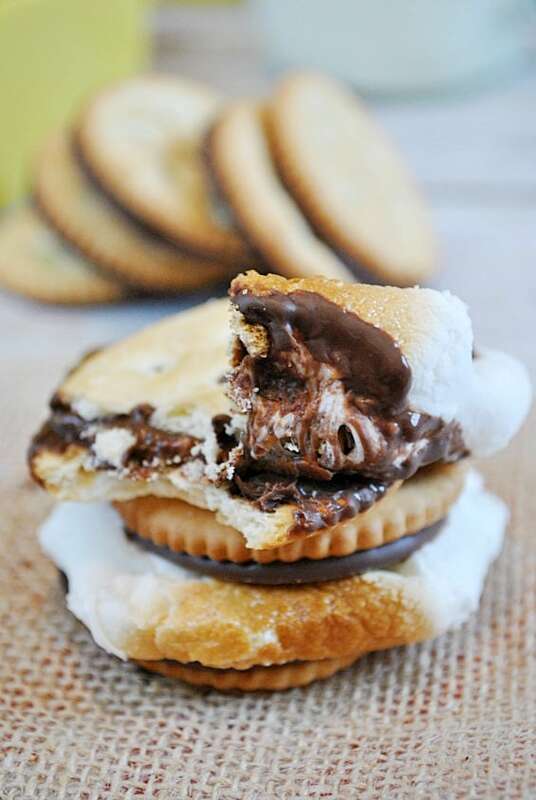 I love anyhing s’more but the saltyness of the Ritz would make these so good!